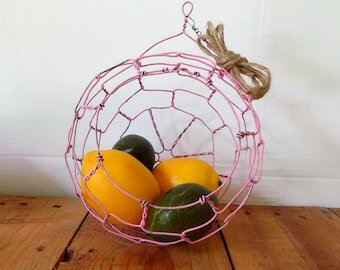 This listing is for my medium size sphere basket. 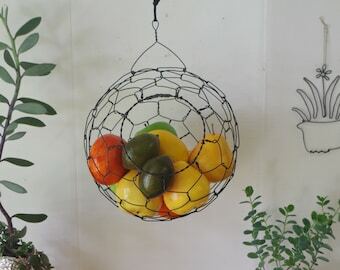 I also make a large and a small.These beautiful hanging baskets are great for fruit or vegetables. You may have other ideas for them. 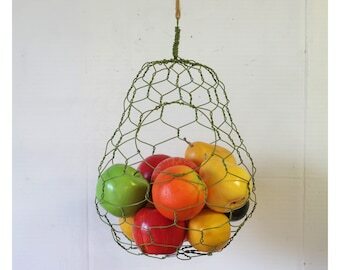 They are made with annealed steel wire and are about a 8 1/2 inches wide.The one you get may be slightly different as they are handmade.They should be protected from wet or damp to prevent rust.It I recommend wiping with a cloth wet with cooking oil followed by a clean dry cloth every few months or as needed for cleaning. 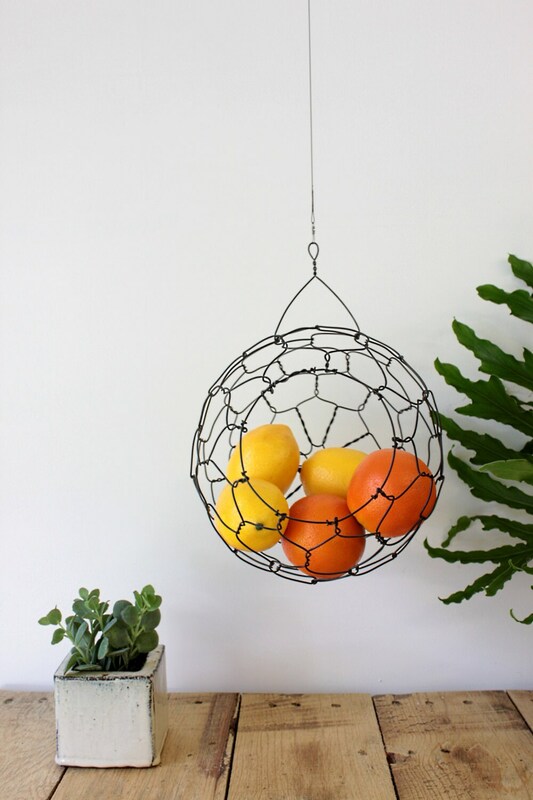 It comes with an S hook and an 18 inch steel leader for hanging. 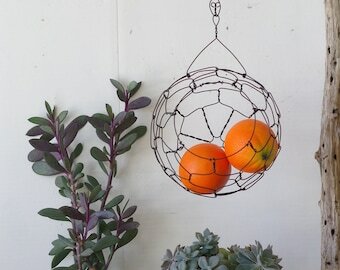 I can also provide a heavy jute hanging line with swivel if you need a longer hanging option . I do ship Internationally. Please convo me for a price to where ever you are. I love these! 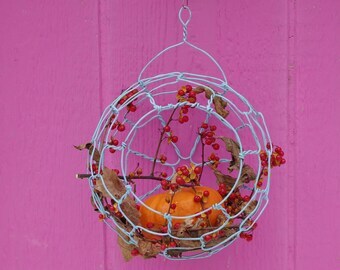 These are not your typical, run of the mill wire hanging basket. They are unique and stylish and are holding up very well even when filled with loads and loads of fruit. I've put in way more than you see in the picture. The seller was super responsive and the baskets were received in good order.